Dr. Nwokeji specializes in general urology with an emphasis in minimally invasive prostate cancer therapy such as high intensity focused ultrasound (HIFU) and cryoablation therapy. 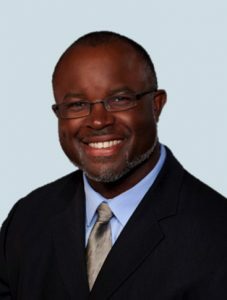 Dr. Nwokeji was the first physician in Texas to be credentialed in the HIFU procedure having trained in 2007. He was also one of three urologists who gave a testimonial to the FDA panel about his experience with Sonablate HIFU prior to approval. Dr. Nwokeji has been involved with more than 200 HIFU patients and is currently one of a few urologist trained to offer the procedure in Texas. Outside of prostate cancer, Dr. Nwokeji also manages kidney stones, prostate disease, female voiding dysfunction and oncology. He received his Bachelor’s degree at Colgate University. He earned his medical degree at Howard University College of Medicine in 2000. He did his general surgery residency at Morristown Memorial Hospital, Morristown, NJ and Howard University Hospital, Washington, DC. He completed his urology residency at Southern Illinois University, Springfield, IL, in 2005. 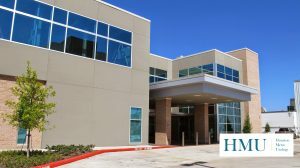 Houston Metro Surgery Centers is a state-of-the-art surgical facility that offers several different types of outpatient procedures including Sonablate HIFU. The center has a warm and caring environment helps to minimize the stress often associated with hospital procedures. They pay particular attention to patient’s safety and keeping patients comfortable before, during, and after procedures.